Harrison released his debut LP Checkpoint Titanium last year, and the Toronto producer has just breathed some fresh life into album cut "Right Hook" with a new video. 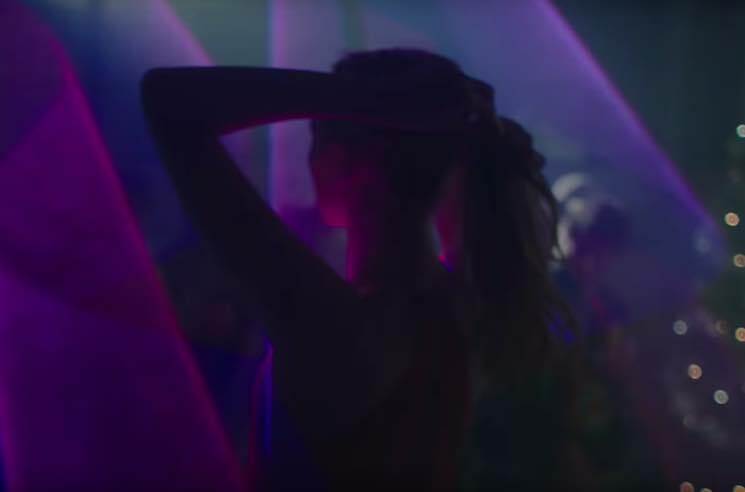 The clip was directed by Eva Michon, and it tracks a day in the life of a young woman as she goes for a morning jog, teaches a piano lesson, then eventually winds up at an exuberant dance party. "The video for 'Right Hook' is an exploration of visual time-keeping," Michon explained in a statement. "I am always mesmerized when the beat of a song I'm listening to on headphones synchronizes with movement in the real world. The ponytail of a jogger or a dancer is one of the greatest things to watch, and was the initial inspiration and jumping-off point for the video concept." Bounce along by watching the video for "Right Hook" below.